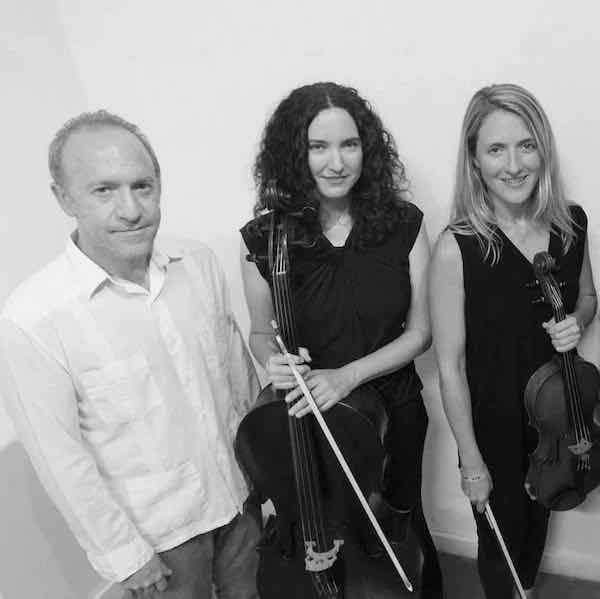 Montopolis is an ambient classical group from Austin, Texas that performs the works of composer Justin Sherburn. Their EP “Monolith” is first in a series of recordings to be released in 2016 inspired by the central Texas landmark known as Enchanted Rock. Montopolis performances have been called “stunning and “transcendent” by the Austin Chronicle, and the group’s various incarnations have accrued critical acclaim and a devoted following over the years. 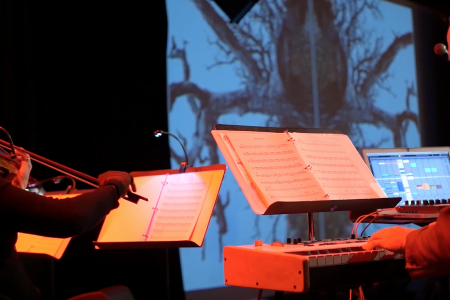 Their programs are audience-engaging, multi-media events that combine musical performance with film, photography, animation, and sometimes academic lectures on esoteric topics. The Montopolis musicians are some of the finest that Austin has to offer, including members of the Austin Symphony, acclaimed indie rock group Okkervil River, Tosca String Quartet, and the Mood Illusion. Though there are many contributors, the current touring ensemble includes pianist Justin Sherburn, violinist Leigh Mahoney, violist Leah Nelson, cellist Sara Nelson, and pedal steel guitarists Bob Hoffnar and Brian Cassidy. Justin Sherburn is a composer, producer, and musical director. He received the Austin’s Critic’s Table 2015 Excellence in Composition Award for his work with Brent Baldwin and the Convergence vocal ensemble. His scores for the films “Above All Else” and “Yakona” premiered at the SXSW film festival in the spring of 2014 and continue to show at festivals across the nation. His music can be heard on PBS programming and appears regularly on Austin radio station KUT. Justin has composed for television, theater, and dance performances and is the resident composer for Austin’s Troublepuppet Theater Company. He arranged the “Sanctus” Movement of Mozart’s Requiem for the Golden Hornet Project’s presentation “Mozart Undead” in spring 2014. He has had a long and varied career as a touring musician, working with Okkervil River and the 8 1/2 Souvenirs, sharing the stage with legends such as Willie Nelson, Roky Erickson, Brian Setzer and Wilco, appearing on the David Letterman, Conan O’Brien, and Jimmy Fallon television shows, and performing at festivals around the globe from Coachella to Primavera Sound in Barcelona to the Laneway Festival in Australia. His awards include the audience award at SXSW Film Festival for Yakona, “Best Music” at the Ocean Blue Film Festival for Yakona, and the B Iden Payne award for best musical director and best original score for “The Red Balloon”.